On 30 June 2012, San Jose's Sam Cronin quickly recovered from an apparent injury after being struck by a well-placed ball from David Beckham. The even occurred in stoppage time of San Jose's 4-3 win over Los Angeles. The Galaxy took a 3-1 lead in the first half with goals from Beckham and Landon Donovan, as well as an own-goal from Earthquakes defender Jason Hernandez, but Víctor Bernárdez pulled one back for San Jose in the 44th minute to cut the margin to 3-2. In the second half, Cronin scored a 47th-minute equalizer, followed by Chris Wondolowski's go-ahead strike in the 61st minute. But the day's real highlight came during injury time. With San Jose holding on to their lead, Cronin collided with a Galaxy player and dropped to the turf, holding his head. 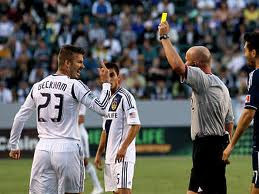 After several seconds, an irritated Beckham, who was 20 yards away, delivered a pinpoint kick that struck Cronin in the leg (then bounced up and hit the referee). His injury forgotten, Cronin immediately jumped up and protested to the ref. Beckham received a yellow card, resulting in a one-game suspension, as San Jose got the win. 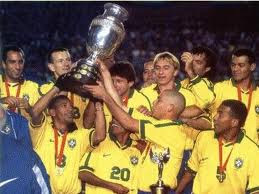 On 29 June 1997, Brazil won their fifth South American Championship/Copa América, beating hosts Bolivia 3-1. The reigning World Cup champions rolled through the group stage, winning all three of their matches, then advanced to the final with a 2-0 win over Paraguay and a 7-0 demolition of Peru. There, they faced Bolivia, the only other team in the tournament with a perfect record up to that point. They met at Estadio Hernando Siles in La Paz, whose altitude of almost 12,000 feet above sea level has proven to be an asset to Bolivia, as visiting teams often have trouble acclimating. The tournament organizers clearly intended to use the location strategically, as Bolivia played all of their earlier matches there, while Brazil had played all of theirs in Santa Cruz, with a much lower altitude of 1,365 feet. But Brazil managed to adapt. After going into the break level at 1-1, they went ahead with a goal from Ronaldo in the 79th minute, then sealed the win with a 90th-minute strike from Zé Roberto. On 28 June 2001, Boca Juniors won their second consecutive Copa Libertadores--and fourth overall--beating Cruz Azul on penalties, 1-1 (3-1). The Argentinians were in their sixth final, having won it in 1977, 1978, and 2000 and going to penalties in two of those. Cruz Azul, meanwhile, were in the final for the first time. They hosted the first leg in Mexico City, where, despite a partisan crowd of 115,000 at the Azteca, Boca Juniors won 0-1 with an 85th-minute goal from Marcelo Delgado. But in the return leg at the Bombanera in Buenos Aires, Cruz Azul forward Juan Palencia scored in the 42nd minute to bring the sides level. That score held through extra-time to send the final to a penalty shootout. There, Palencia scored with Cruz Azul's first attempt, but the three shooters that followed him all failed to convert, while Boca went three-of-four from the spot to clinch the trophy. 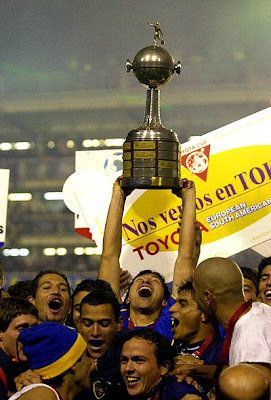 Since then, they have returned to the final four more times, winning it in 2003 and 2007, while Cruz Azul have yet to make it back. On 27 June 1977, Raúl González was born in Madrid. He went on to become Real Madrid's all-time leader in goals and appearances. The striker joined the club's youth squad in 1992 after spells at San Cristobal (1987-90) and Atlético Madrid (1990-92) and made his professional debut with the first team on 29 October 1994. Only 17 years and 124 days old at the time, he set his first club record as the youngest player to appear for the club (though it was broken later that season). He made a total of 30 appearances that season, scoring 10 goals. It was a sign of things to come; over the next fifteen seasons, Raúl made a total of 741 appearances and scored 323 goals, both club records at the time, though he is now second in goals after Cristiano Ronaldo, who has 406. Along the way, he won six league titles, three Champions League trophies, and two Intercontinental Cups. He also twice won the Pichichi as La Liga's top scorer. In 2010, with age and injury combining to diminish his role in Madrid, Raúl left for Schalke, where he spent two successful seasons, including winning the German Cup in 2011. He last played for the New York Cosmos in 2014-15. 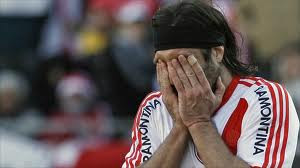 On 26 June 2011, River Plate were relegated to the Argentine second division for the first time in its 110-year history after drawing 1-1 with Belgrano. Since winning the 2008 Clausura—their 34th national title—River Plate had fallen on hard times, including a last-place finish in the 2008 Apertura and a series of subsequent mid-table finishes. After a ninth-place finish in the 2011 Clausura, their three-year points-per-game average dropped to 1.237, which placed them 17th in the Primera División relegation table and sent them into a two-legged playoff against Primera B's fourth-place team, Belgrano. 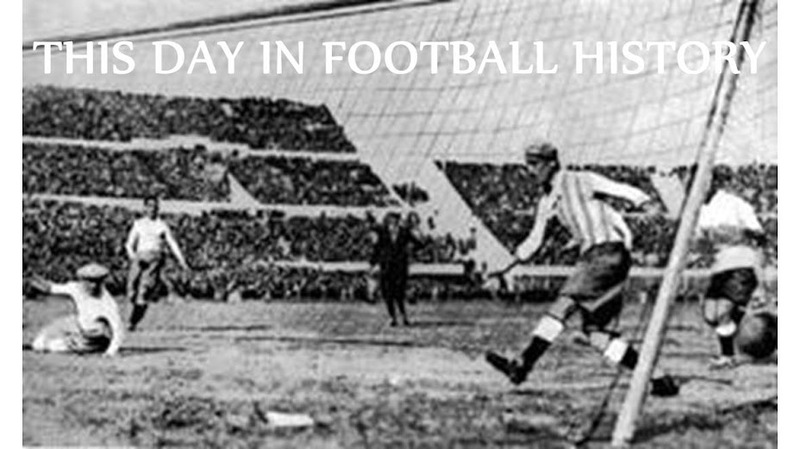 River Plate lost the first leg away, 2-0, then hosted the second leg at the Monumental in Buenos Aires, where Mariano Pavone scored in the sixth minute to close the aggregate gap to 2-1. But they could not find another and instead conceded a goal to Belgrano's Guillermo Farre (62') to finish the series 3-1. Before the match ended, the home supporters rioted, throwing objects at the players from the stands, then ripping seats out of the concrete. The situation was even worse outside the stadium, where police used tear gas and attack dogs in an attempt to quell the mob. Despite the drama, River Plate returned to the Primera Division at their first opportunity and won the 2014 Torneo Final. On 25 June 2010, Italy defender and captain Fabio Cannavaro announced his retirement from international football. With 136 appearances, he remains Italy's record cap-holder for an outfield player. Cannavaro made his national team debut over thirteen years earlier in a January 1997 friendly against Northern Ireland. By 1998, he was regular starter, playing every minute for Italy in that year's World Cup before losing out to eventual winners France on penalties in the quarterfinals. They again lost to France in the Euro 2000 Final, but Cannavaro earned personal glory as one of the defenders named to the Team of the Tournament. After disappointing early exits in the 2002 World Cup and Euro 2004, Cannavaro captained Italy to World Cup glory in 2006, anchoring a defense that surrendered only two goals--an own-goal and a penalty--before beating France in a Final shootout. As a result of that performance, he finished as runner-up to France's Zinedine Zidane in voting for the tournament's Golden Ball winner. Cannavaro missed Euro 2008 due to injury and considered retiring from the national team later that year, but decided to return to help Italy defend their World Cup in 2010. Unfortunately, their campaign was a disaster, as they finished at the bottom of their first-round group after draws with Paraguay and New Zealand, followed by a loss to Slovakia on 24 June. Cannavaro announced his international retirement the next day. He continued to play at the club level until a knee injury ended his career in July 2011. On 24 June 1987, Lionel Messi was born in Rosario, Argentina. 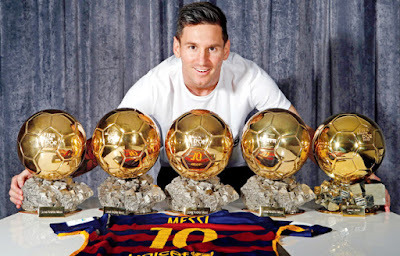 He has since become one of the world's best players, winning a record five Ballons d'Or. After initially playing for a local club managed by his father, Messi joined the youth program at Newell's Old Boys in 1995. There, he was diagnosed with a growth hormone deficiency. The costs of treatment, reported to be approximately $900 per month, proved a barrier for a rumored move to River Plate, but Barcelona were interested and agreed to cover the expenses as part of a deal that brought Messi to Spain in 2003. He joined the Barcelona youth team, but made his senior team debut in 2004 at the age of 17 and tallied a total of nine appearances that season, followed by 25 in 2005-06. The next season, he secured a regular place in the first team, but his breakout season came in 2008-09, when he made a total of 51 appearances and scored 38 goals as Barcelona won their first La Liga title in three years and also lifted the Champions League trophy. That led to his first Ballon d'Or (and FIFA World Player of the Year award) in 2009. Playing with a perfect blend of balance and ball control, his scoring continued to improve, with 47 goals in 2009-10, 53 in 2010-11, and an amazing 73 in 2011-12. He currently has 507 goals in 583 appearances across all competitions for Barcelona while winning a total of eight La Liga titles, five Copas del Rey, four Champions League titles, and three FIFA Club World Cups. He also won additional Ballons d'Or in 2010, 2011, 2012, and 2015. Along the way, he has also earned 141 caps for Argentina with 74 goals. 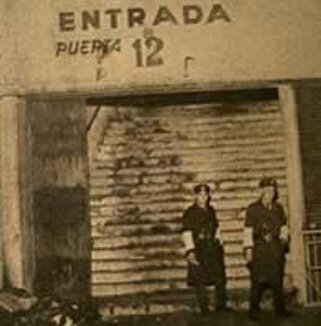 On 23 June 1968, 74 people died and over 150 were injured trying to exit the stadium after a match between River Plate and Boca Juniors. It remains the largest football-related disaster in Argentina's history. The derby rivals played to a scoreless draw at River Plate's Monumental Stadium. Afterward, several supporters attempted to leave the stadium via Gate 23 (pictured), at the bottom of a dark stairway, but found the door blocked. Unfortunately, the people at the top of the stairs did not realize that the exit was barred and continued to force their way toward the door. In the ensuing crush, over 150 people sustained injuries and 75 died. Most of them were young, with an average age of 19. Recriminations and accusations followed immediately afterward, with some people blaming the Boca supporters, some blaming the River supporters, and others blaming the police. An official investigation failed to identify a responsible party, however. On 22 June 2004, Sweden and Denmark played to a 2-2 draw, getting just the result they needed for both to advance in the Euros at the expense of Italy. It was the final matchday of Group C. Italy started the day two points behind Sweden and Denmark, having drawn against both, while both had already beaten Bulgaria, Italy's opponent. In the event of a Sweden-Denmark draw, a win for Italy would only pull them level on points. As a tiebreaker, the rules looked to goal differential, then goals scored, but only as compared among the tied teams. A draw between Sweden and Denmark would give all three teams the same goal differential, making goals scored the deciding factor. Denmark's match with Italy was scoreless, while Sweden-Italy finished 1-1. So a scoreless result between Sweden and Denmark would put Italy through, while a score draw of 2-2 or higher would eliminate the Italians. Italy raised the possibility of such a result before the games, but Sweden co-manager Lars Lagerbäck dismissed any possibility of a fix, saying "Machiavelli might have been Italian and Italians might like to think in a Machiavellian way, but it would not be possible to play for a 2-2 draw against Denmark and I don't think it will end 2-2 – that is a very unusual result." But 2-2 is what they got. 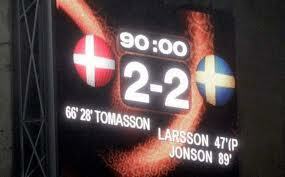 Denmark took a 28th-minute lead from Jon Dahl Tomasson, then Sweden's Henrik Larsson equalized with a 47th-minute penalty. The Danes reclaimed the lead with another goal from Tomasson (66'), but Sweden again drew level, this time with a strike from Mattias Jonson (89'). Italy beat Bulgaria 2-1, but that was their last contest of the tournament. On 21 June 2002, the United States suffered a close--and controversial--loss to Germany in the World Cup quarterfinals. The two teams met at the Munsu Cup Stadium in Ulsan, South Korea, where a crowd of 37,337 gathered for the event. Despite entering the match as heavy underdogs, the US applied heavy pressure on the three-time World Cup champions from the opening minutes, with forwards Brian McBride and Landon Donovan both forcing early saves from keeper Oliver Kahn. The 20-year old Donovan posed a potent threat throughout the match, peppering the German goal with shots. The Germans had a couple of early chances of their own before taking the lead with a 39th-minute header from midfielder Michael Ballack. Miroslav Klose almost added another before the break, but was denied by a brilliant save from US keeper Brad Friedel. Shortly after the restart, the US thought they had a equalizer. A volley from center back Gregg Berhalter beat Kahn and appeared to cross the line, but struck the arm of German defender Torsten Frings and bounced back out. The US players appealed for the referee to award either a goal or a handball penalty, but were unsuccessful. Although the Americans outshot the Germans 11 to 6 and dominated possession (58% to 42%), the Germans held on for the 1-0 victory and advanced, eventually finishing as runners-up to Brazil. On 20 June 1976, Czechoslovakia won the first major international tournament to be decided by a penalty shootout, beating West Germany in the European Championship Final. Although there were only four teams--and four matches--in the tournament that year, it was hotly contested, with all four matches going to extra time. In the opening game, the Czechs got goals in the 114th and 118th minutes to defeat the Netherlands 3-1, while West Germany, the defending champions, matched them with goals in the 115th and 119th minutes to down Yugoslavia 4-2 (the Netherlands then won the third place match over Yugoslavia 3-2 with a score in the 107th minute). The Final was played before a crowd of 30,790 at the Crvena Zvezda Stadium in Belgrade. There, Czechoslovakia jumped to a 2-0 lead with strikes from Ján Švehlík (8') and Karol Dobiaš (25'), but West Germany halved the margin three minutes later with a goal from Dieter Müller--it was his fourth goal of the tournament, making him the top scorer. The Germans then found a late equalizer through forward Bernd Hölzenbein (89') to send the match into extra time. Unlike their previous matches, however, neither team could generate an extra-time goal and the contest went to penalties. Both sides converted their first three kicks and the Czechs made their fourth, but on West Germany's fourth attempt, midfielder Uli Hoeness sent the ball over the bar to give Czechoslovakia a 4-3 edge. Czech midfielder Antonín Panenka (pictured, right) then stepped up to the spot. As keeper Sepp Maier dove to his left, Panenka chipped the ball right down the middle to secure the title. It was their first and only major trophy, though they went on to win gold at the Olympics in 1980. 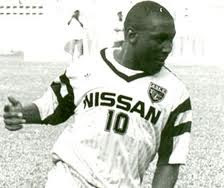 On 19 June 1994, Ivorian club ASEC Mimosas lost their first league game in almost five years, ending their unbeaten streak at a world-record 108 matches. Founded in 1948, Mimosas are the most successful club in Côte d'Ivoire football history, with 24 Premier Division titles. Five of those came during their record unbeaten run, which started on the first day of the 1990 season. They finished that year with their eighth overall title, then continued their run through the entire 1991, 1992, and 1993 seasons, led in part by forward Abdoulaye "Ben Badi" Traoré (pictured), who was the league's top scorer in 1992 (then again in 1994 and 1996). They nearly extended it through the 1994 season, with eleven wins and a draw in their first twelve matches. But in their thirteenth match, they were upset 2-1 by SO Armée. Mimosas still went on to win the title--they won their next match by the league-record margin of 11-0--but their unbeaten streak stopped at 108, four games past the previous world record of 104, set by Steaua Bucureşti from 1986 to 1989. Afterward, Mimosas continued their run of success, winning another twelve titles between 1995 and 2010, including seven straight from 2000 to 2006. On 18 June 2010, the United States scored twice in the second half to salvage a 2-2 draw after falling behind to Slovenia in the group stage of the World Cup. The US had already rescued a point in their first match, equalizing against England to earn a 1-1 draw, while Slovenia claimed the group's top spot with a win over Algeria. The Slovenians looked certain to hold on to their position when they took a 2-0 lead in the first half with goals from winger Valter Birsa (13') and forward Zlatan Ljubijankič (42'). But, as they had in the first match, the US displayed a combination of determination and resilience. They came out firing in the second half and were rewarded when Landon Donovan surged into the Slovenian box in the 48th minute and blasted the ball into the roof of the net from close range to cut the gap to 2-1. The US continued to press for an equalizer and found it in the 82nd minute when a header from forward Jozy Altidore dropped for midfielder Michael Bradley, who then chipped it over the Slovenian keeper. As improbable as the comeback had been, the US came close to winning it a few minutes later when substitute midfielder Maurice Edu put the ball in the back of the net. But the referee disallowed the goal for reasons that remain unexplained. Still, the point for the draw proved critical for the US, who were tied England on points at the end of the first round, but won the group by virtue of goals scored. 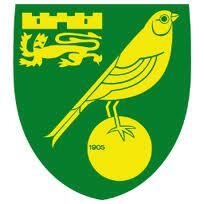 On 17 June 1902, a group of players split from their previous club and founded Norwich City. The new club went on to become two-time League Cup champions and a founding member of the Premier League. The club's founders originally played for Norwich Church of England Young Men's Society, established in 1888. But in 1902, the team captain and vice-captain left the club over what they perceived to be a lack of ambition. They gathered a group of friends at the Criterion Cafe on 17 June to form Norwich City and played their first competitive match the following September. They played as amateurs for the first two years, then turned professional in 1904 after being expelled from amateur competitions after making payments to players. They joined the Football League's Third Division (South) in 1921 and were promoted to Division Two in 1934. They spent the next several years moving back and forth between the two levels, but during that time, they won the 1962 League Cup over Rochdale. In 1972, Norwich reached the top tier for the first time, though they remained there for only two seasons before dropping back down to the Second Division. They then fluctuated between the top two levels--and winning another League Cup in 1985--before becoming one of the founding Premier League clubs in 1992. 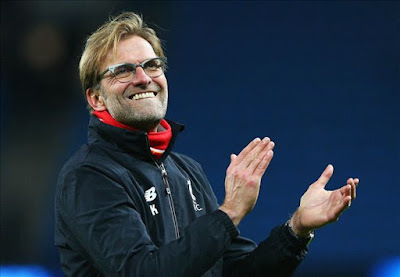 On 16 June 1967, Liverpool boss and two-time German Manager of the Year Jürgen Klopp was born in Stuttgart. He spent his entire playing career in the second division with Mainz, joining them as a striker in 1990, then converting to a defender in 1995. He retired in 2001 after scoring 52 goals in 325 league appearances, then took charge of the club in February of that year. In his fourth season as manager, he led Mainz to the top flight, earning promotion for the 2004-05 season, but they were relegated in 2007. When they failed to return to the top flight in 2008, Klopp resigned. Thenm in May of that year, he signed a two-year contract as manager of Borussia Dortmund. Dortmund improved significantly in his first season, finishing in sixth place--seven spots higher than they had the previous season. They followed that with a fifth-place finish in 2010, then won the league in 2011 (their first league title in nine years). In 2012, they repeated as Bundesliga champions and won the DFB-Pokal for the first Double in club history. Klopp resigned from Dortmund in 2015 at the end of the season and joined Liverpool that October. He recently signed a new deal that will keep him there until 2022. Labels: 1 FSV Mainz 05, BV Borussia Dortmund, Jürgen Klopp, Liverpool F.C. On 15 June 2010, North Korea marked their return to the World Cup with an impressive showing against Brazil, albeit in a losing effort. In 1966, their only previous tournament, they delivered a shocking 1-0 first-round upset of Italy before falling to Portugal in the quarterfinals. That set a high standard for their return forty-four years later, secured on the back of a defense that conceded only five goals in fourteen qualification matches. They continued that performance in their opening match against Brazil, at least for the first half. Playing with a back line of five defenders, they prevented the Brazilians from getting a good look at the goal. Only Maicon got a shot on target in the first half and that one was handled comfortably by keeper Ri Myong-Guk. It was a surprising performance, as most observers expected Brazil to run riot over the North Koreans. Brazil finally cracked the defense in the second half, however, with Maicon scoring in the 55th minute, then Elano doubling the lead seventeen minutes later. North Korea's Ji Yun-Nam (pictured) got a goal in the 89th minute for a final scoreline of 2-1. It was North Korea's closest margin of the tournament, followed by a 7-0 hammering by Portugal and a 3-0 loss to Côte d'Ivoire. On 14 June 1931, Estudiantes and Gimnasia played the first La Plata derby of the professional era, which ended as a 1-1 draw. Gimnasia are the older club, dating back to 1887, while Estudiantes came along much later in 1905, but the two teams did not play each other until 1916, when Gimnasia won 1-0 thanks to an Estudiantes own goal. The balance of power soon shifted to the younger team, however, and they amassed a record of five wins for Estudiantes, three for Gimnasia, and five draws as amateurs (two of Gimnasia's wins were due to forfeits). After Argentinian football turned professional in 1931, Gimnasia hosted the first derby, a league match in the top flight which ended as yet another draw. That remains the most common result in the derby, with a record of 49 Gimnasia wins, 56 Estudiantes wins, and 57 draws in a total of 162 matches. On 13 June 1976, Iran won their third straight Asian Cup, beating Kuwait 0-1 in Tehran. The 1976 Final was the most comfortable win of the three. 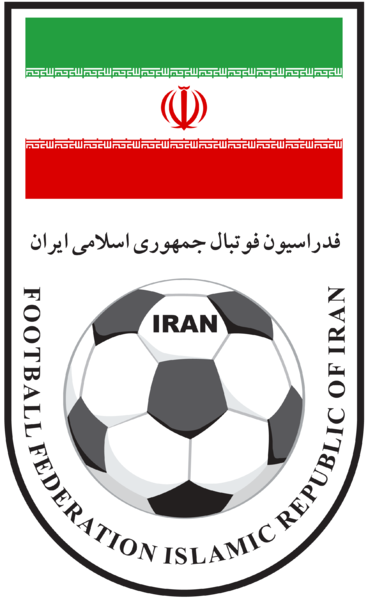 In 1968, they needed an 86th-minute strike from midfielder Parviz Ghelichkhani to beat Israel 2-1. 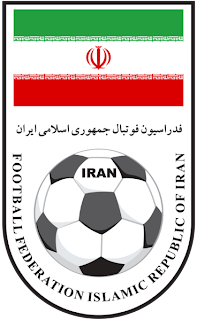 And they went to extra time in 1972 to beat South Korea 2-1 with a goal from striker Hossein Kalani in the 108th minute. In 1976, Iran and Kuwait both made it to the final with perfect records, as Kuwait had wins over China, Malaysia, and Iraq, while Iran defeated South Yemen, Iraq, and China. The two teams met at Tehran's Aryamehr Stadium, where a crowd of over 100,000 gathered to watch them struggle through a scoreless first half and most of the second. Then, in the 71st minute, Persepolis midfielder Ali Parvin found the net for the day's only goal. It was his first of the tournament and only his seventh for the national team, despite playing for them since 1970. Kuwait exacted their revenge the following tournament, knocking Iran out in the semifinals before winning the title in 1980. To date, that remains the last final for either team, as the competition has since been dominated by Saudi Arabia and Japan. Parvin, meanwhile, later managed the Iranian national team from 1989 to 1993. On 12 June 1927, Hungary recorded their record victory, beating France 13-1. The occasion was a friendly in Budapest, where a crowd of 28,000 gathered at the Üllői úti Stadium to watch the contest. As it turned out, however, it wasn't much of a contest. Striker József Takács (pictured) gave Hungary the lead in just the 17th minute, followed by a rapid series of goals from György Orth (25', 27'), György Skvarek (30') and Vilmos Kohut (32'). Another strike from Takács (41') pushed the margin to 6-0 by the break. In the second half, the situation worsened for the visiting French team, as Takács scored twice more (51', 60') before Vilmos extended the lead to 9-0 in the 62nd minute. The lead moved to 10-0 when French striker Jules Dewaquez put the ball into his own net in the 78th minute, but he redeemed himself by scoring at the correct end two minutes later. But Takács was not done. He added two more goals (83', 85') to take his personal tally to six and push the final score to 13-1. It remains the highest-scoring match in Hungarian history (though they have two other wins of 12-0 to equal the margin of victory). On 10 June 2001, Copenhagen beat rivals Brøndby for their second league title, thanks in part to a spectacular goal from South African striker Sibusiso Zuma. The two teams met at Copenhagen's Parken Stadium for their third league meeting of the season, with Copenhagen winning both of the earlier matches. They started the day day two points clear of Brøndby with both having one other game left to play. Christian Poulsen gave Copenhagen a 1-0 lead in the 37th minute, but it was the second goal that grabbed all of the headlines. In the 56th minute, Zuma, signed at the start of the season by manager Roy Hodgson, received the ball just inside the box, chested it up, then delivered a stunning overhead kick to send it into the top far corner. The goal was later voted the league's Goal of the Year and Goal of the Decade. Brøndby halved the margin nine minutes later with a strike from Per Nielsen, but Copenhagen's Pascal Simpson scored in the 80th minute to end the day as a 3-1 win. It secured Copenhagen's second title and the first since 1993. Since then, they have raise their total to twelve, a Superliga record (though the overall Danish top flight record is fifteen, held by one of Copenhagen's predecessor clubs, KB). 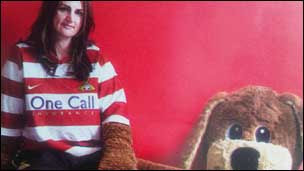 On 9 June 2011, Doncaster reinstated their "Donny the Dog" mascot after firing her one day previously for participating in a lingerie photo shoot. Tracy Chandler, an unpaid volunteer, had worn the mascot suit for Doncaster for over three years before agreeing to the shoot in exchange for a donation to a children's charity. The photos, which appeared in Sunday Sport, showed Ms. Chandler in lingerie alongside the dog costume. She described the pictures as "tongue-in-cheek and not seedy." She had not gotten permission from the club and, when they learned about the photos, they sacked her by email on 8 June. But after word of the firing got out, Doncaster quickly reinstated her, with club chairman John Ryan saying "we were just a bit concerned about the sexualisation of young children, it's a tricky area these days, we're putting it right, maybe it was a mistake." Ms. Chandler was happy to reclaim the suit, calling the club's reversal "better than winning the lottery." On 8 June 2006, FIFA proposed an eighteen-team limit for the top European leagues, who soundly rejected it. Intended both to help reduce fixture congestion and to create additional open dates for international competition, FIFA endorsed the idea at their 56th Congress in Munich. Perhaps not coincidentally, the German Bundesliga was the only major European league already restricted to eighteen teams, while the top flights in England, France, Italy, and Spain each had twenty teams. 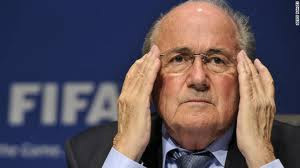 Although FIFA President Sepp Blatter was confident that those leagues would adopt the change in advance of the 2007-08 season, their reaction was one of strong opposition, with English Premier League spokesman Dan Johnson telling the press "The only people who are going to tell us how to run the Premier League are the league's 20 member clubs' chairmen." Ultimately, those leagues chose not to implement the new proposal and they all continue to have twenty teams (while the Bundesliga maintains its level at eighteen). Blatter apparently took offense at the Premier League's vocal opposition, singling England out for criticism later that month for their style of play. On 7 June 1947, the Romanian Royal Army founded a new football club. 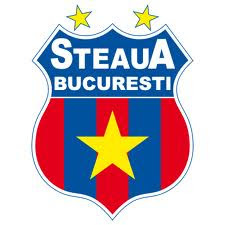 Now known as Steaua Bucureşti, they have won a record 26 league titles a record 22 Romanian Cups, and a European Cup. Originally named ASA Bucureşti, the club started as a training tool for army officers and encompassed several sports in addition to football, including fencing, volleyball, boxing, and shooting. They adopted red and yellow striped shirts with blue shorts to reflect the colors of Romania's flag and joined the league for the 1947-48 season (they later replaced the yellow stripes with blue). They quickly became successful, winning the Cupa României in 1949 and 1951, then winning league and cup Doubles in 1951 and 1952. In all, they have twenty-three league titles, twenty-two Cupa României trophies, and five Supercupa României trophies, all of which are record numbers. Steaua have also enjoyed European success, winning the European Cup on penalties over Barcelona in 1986, powered by keeper Helmuth Duckadam and midfielder Gheorghe Hagi. They followed that with a UEFA Super Cup win later that year, beating Dynamo Kyiv 1-0. They won their most recent league title in 2015 and finished as runners-up in the two seasons since. 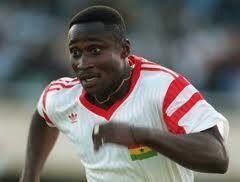 On 6 June 1966, striker Tony Yeboah was born in Kumasi, Ghana. He went on to become the second black player to appear in the Bundesliga and twice led the league in scoring. He turned professional in 1981 and spent the first seven years of his career in Ghana. He was the Premier League's top scorer in 1986 and 1987, prompting his move to Germany in 1988 to play for second division Saarbrücken. He was the second black player in the Bundesliga, after his fellow Ghanian international Anthony Baffoe (who was born in Germany). In 1990, he transferred to Eintracht Frankfurt, where his 20 goals in 1992-93 and 18 in 1993-94 tied him for the league's scoring title both seasons. 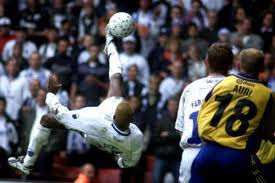 He joined Leeds in 1994 and became a fan favorite due in part to two memorable goals against Liverpool and Wimbledon, the latter of which was named the Premier League's Goal of the Season for 1995-96. After three seasons with Leeds, Yeboah returned to the Bundesliga to play for Hamburg from 1997 to 2002, then finished his career with a season at Al-Ittihad Doha in Qatar. Now retired, he is a successful businessman, with his own sports agency and a chain of hotels. 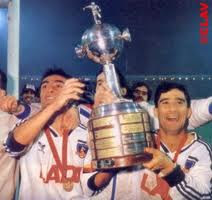 On 5 June 1991, Colo-Colo won the Copa Libertadores, beating defending champions Olimpia 3-0. Colo-Colo had reached the final only once before, finishing as runners-up to Independiente in 1973, while Olimpia were making their fifth appearance, having won it in 1979 and 1990. The teams met in Asunción for the first leg on 29 May and played to a scoreless draw, then reunited at Santiago's Estadio Monumental for the second leg. There, a crowd of over 66,000 people watched as the hosts went up 2-0 after only 17 minutes with both goals coming from striker Luis Pérez. For the first, he held the ball up in traffic just outside the Olimpia box, then played a quick one-two with midfielder Rubén Espinoza, giving him just enough space to get a clear shot past goalkeeper Jorge Battaglia. For the second, forward Marcelo Barticciotto raced down the right sideline and sent a cross in for Pérez, who chested it down, beat a defender, and fired off a quick left-footed shot into the net. Barticciotto also provided the assist for Colo-Colo's final goal, again sprinting down the right side, then sending a square ball across the face of the goal that somehow reached forward Leonel Herrera at the far post for an easy tap-in. Although three other Chilean teams have reached the tournament final, Colo-Colo remain the only team from the country to win the competition. Olimpia, meanwhile, won it for third time in 2002. On 4 June 2006, the Netherlands won the U-21 European Championship over Ukraine with a stellar performance from striker Klaas-Jan Huntelaar. Coming off a season in which he had scored 44 goals in 47 appearances for Herenveen and Ajax, Huntelaar had been named to the preliminary Netherlands senior squad for the 2006 World Cup. But did not make the cut for the final squad and dropped down to play for the U-21s in the European Championship in Portugal. There, the Netherlands fell to Ukraine in their opening match, but rallied and advanced to the final where they again faced Ukraine. Playing at Porto's Estádio do Bessa, Huntelaar stole the show, putting his team up 2-0 in the first half. The first goal came in just the 11th minute as the striker got onto the end of a long pass from Nicky Hofs, controlled it, then fired a low ball past Ukraine keeper Andriy Pyatov. The second came from the penalty spot in the 43rd minute. Ukraine's attempt at a comeback suffered a blow in the 77th minute, as defender Oleksandr Romanchuck received a second yellow card and took the team down to ten men. Hofs then added a third goal for the Netherlands right before the final whistle to cement the 3-0 victory. Huntelaar moved to the senior side shortly afterward and was the leading scorer in Euro 2012 qualification with twelve goals. On 3 June 1956, Genoa spoiled Fiorentina's bid for an undefeated season, beating them 3-1 on the last day. Fiorentina had already clinched the Serie A title, starting the day twelve points clear of second-place Milan with a record of twenty wins and thirteen draws, but were hoping to finish the season without a loss. 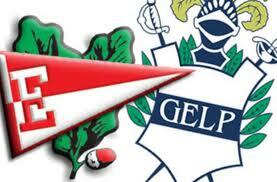 Their chances looked promising, as their last match was at Genoa, whom they had beaten 3-1 earlier in the season. But Genoa were eager to play the part of spoiler. They had won the league with an undefeated season of their own in 1923 and wanted to prevent Fiorentina from matching that accomplishment. Their hopes took a quick downward turn when Fiorentina midfielder Guido Gratton scored the opening goal in the 24th minute. Content to play for the draw, the visitors then pulled back into a defensive position. Genoa continued to press forward in the second half, however, and were rewarded with a penalty kick in the 74th minute. 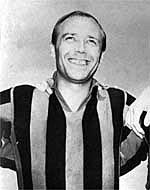 Forward Gunnar Gren (pictured), who played for Fiorentina from 1953 to 1955, converted the kick to equalize against his old team. Fiorentina continued to play defensively, but surrendered another goal in the 85th minute, then one more for good measure in the 90th minute to end the day as a 3-1 win for Genoa. 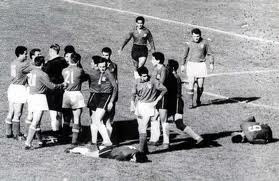 On 2 June 1962, Chile used a few punches, one bloody nose, and a couple of goals to beat Italy in a World Cup match. Known as "the Battle of Santiago," the match was played before a crowd of 66,057 at the Estadio Nacional and was the second group stage match of the tournament for both teams. Anti-Italian sentiment was running high in Chile because a pair of Italian journalists had disparaged both the city of Santiago and its women before the tournament even started (worried about their own safety, the two men had to flee the country before the match). But the first sign of trouble on the day was sparked by Italy. 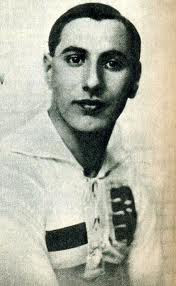 Midfielder Giorgio Ferrini, caught up in a tangle while trying to gain control of the ball, grew frustrated and kicked out at Chilean forward Honorino Landa, prompting Ferrini's own quick ejection after only five minutes. He refused to leave and had to be dragged off the pitch by policemen. During the confusion, Italian forward Humberto Maschio appeared to punch Leonel Sánchez in the face. Sánchez later punched defender Mario David in the face, but was not booked. David retaliated with a flying kick to Sánchez's head that did result in an expulsion, bringing Italy down to nine men in the 41st minute. Sánchez again escaped punishment after punching Maschio in the face, leaving him with a bloody nose. Fights continued to break out across the pitch as Chile used their two-man advantage to win 2-0 with goals from Jaime Ramírez (73') and Jorge Toro (87'). BBC commentator David Coleman later described the match as "the most stupid, appalling, disgusting and disgraceful exhibition of football, possibly in the history of the game." Although Italy won their next game, it was not enough to get them into the next round. Chile, meanwhile, advanced to the semifinals before losing to Brazil, then won the third-place match against Yugoslavia. 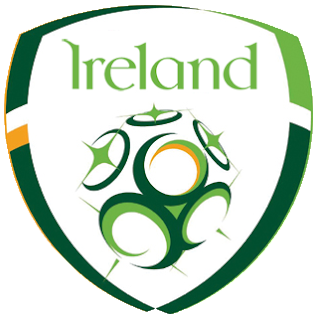 On 1 June 1921, the clubs from the newly-created Irish Free State broke off from the Irish Football Association and formed their own separate association and national team. Prior to the split, football in the whole of Ireland was governed by the IFA, formed in 1880 and headquartered in Belfast. But several clubs in the southern part of the island--partitioned off as the Irish Free State in 1920--felt that the IFA did not adequately represent their interests (the conflict predated the partition as evidenced by the formation of the southern Leinster Football Association in 1892). Matters came to a head in 1921. Three Dublin-based clubs--Bohemians, St. James' Gate, and Shelbourne--withdrew from the IFA-controlled Irish League, but continued to play in the Irish Cup. Shelbourne reached the final that year, drawing with Belfast club Glenavon in Belfast, and asked for the replay to be held in Dublin. The IFA refused the request, so Shelbourne refused to play, forfeiting the cup. That June, a group of representatives from several southern clubs met at Molesworth Hall in Dublin and agreed to form a separate governing body called the Football Association of Ireland and a new national team. Initially, both the FAI and the IFA claimed authority over the entire island, leading to the unusual situation in 1950 when four players played for both associations' national teams at that year's World Cup. That led FIFA to step in and limit the authority of the two groups, so the FAI governs the Republic of Ireland and the IFA controls Northern Ireland. Since then, the FAI have gotten the better of their northern neighbors, compiling a record of four wins, two losses, and four draws.